After careful deliberation, Microsoft Studios has come to the decision to end production for “Scalebound.” We’re working hard to deliver an amazing lineup of games to our fans this year, including “Halo Wars 2,” “Crackdown 3,” “State of Decay 2,” “Sea of Thieves” and other great experiences. 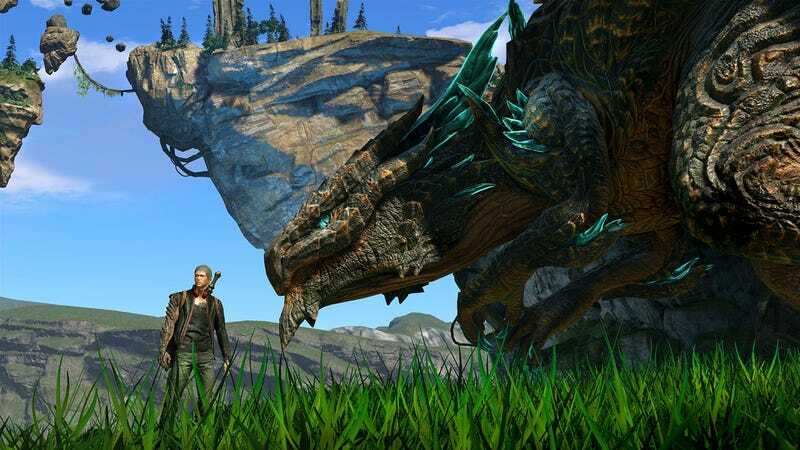 Scalebound, the much-hyped Platinum-developed action game that was previously scheduled for Xbox One and PC, is in trouble and may be cancelled, according to several sources. From what we hear, Scalebound, an ambitious game directed by iconic Twitter blocker and Bayonetta director Hideki Kamiya, had been in development hell for a long time. Microsoft first announced the game nearly three years ago, during the Xbox press conference at E3 2014. It rose to the top of dozens of “Most Anticipated Games” lists but was delayed several times. We hadn’t heard or seen anything of Scalebound in recent months, and it was curiously missing from an Xbox Wire post last week that talked about the future of Xbox One. Microsoft has also removed the official Scalebound page from the Xbox website.